Have you ever accidentally deleted a photo, Microsoft Word document or some other file that you actually had no intention of deleting? The fact is we have all done it at one time or another. 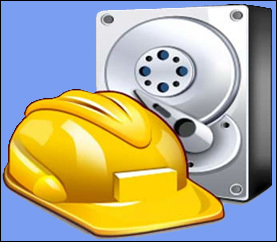 A fantastic free program called Recuva will scan your internal or external hard drive, USB thumb drive or the memory card from your camera or smart phone and give you the option to “undelete” any deleted files that it finds. And guess what? It works like a charm! Recuva is extremely easy to use. Simply download the installation file to your Desktop, double-click on it and install the program. Then click the Recuva icon on either the Desktop or the Start Menu and let the handy wizard walk you through the steps of recovering your file(s). Important: Be aware that Recuva can only restore deleted files that haven’t been overwritten by new files, so it’s important to run it as soon as possible after realizing that you accidentally deleted a file (or files) that you didn’t intend to delete. As they say, time is of the essence! You can download the latest version of Recuva from this page for free. Note: Recuva is available in both Free and Professional (paid) versions, but I use (and recommend) the free version because it works extremely well. Bonus tip #1: This post explains how to recover photos and other files from a dead laptop (and it works for dead desktop PCs too).